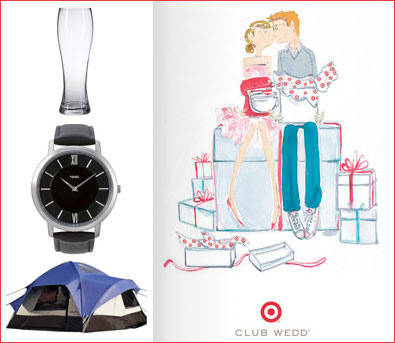 Last week I received an email from Target that discussed how they make it fun for both brides and grooms to register by offering electronics, outdoor gear and other fun gadgets for making the most of your new life together. Registering with Target Club Wedd is convenient and the registry can be set up either in-store at one of 1,500 stores or at Target.com/ClubWedd. Below are some registry ideas that will make the groom love registering with you. Along with adding items to your registry - grooms can also find great gifts from Club Wedd for the groomsmen who help out on the big day. Saying thanks is easy with fun gifts such as iPods, digital photo frames and watches.